COMEDK UGET 2019 Application Correction has been Started on 22nd April 2019. COMEDK UGET Referred to as Consortium of Medical, Engineering and Dental Colleges of Karnataka Under Graduate Entrance Test. COMEDK UGET 2019 is a state level entrance test which is organized to provide admission into engineering courses. 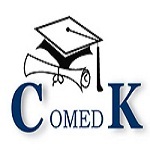 COMEDK is an undergraduate entrance exam organized for admission into engineering and architecture courses. COMEDK entrance test is organized for engineering courses. COMEDK UGET 2019 Exam will be Conducted on 12th May 2019. Through the NATA Score candidates can get admission to the architecture programme. Here the details are given of COMEDK 2019 including Application Form, Eligibility Criteria, Admit Card, Exam Dates, Exam Pattern, Etc. COMDEK UGET 2019 Application Correction has been Started on 22nd April 2019. Click Here to Check Correction Details. COMEDK UGET 2019 Exam Dates has been Announced. The Exam will be conducted on 12th May 2019. Click Here to Check Exam Date Details. COMEDK UGET 2019 COMEDK with the responsibility of conducting the Entrance Examination and Seat Selection Process based on a Single Common Entrance Test followed by Centralized Counseling. Click Here to Check Exam Details. Scheduled is given in which Important Dates with events are given of COMEDK entrance exam. Applier should know Online Application Issue, Mock Test Available, Last date for form filling, COMEDK UGET 2019 Exam Date, Provisional Answer Keys Publish, and Final Answer keys Release etc events. BE/B. Tech Application has been available on Online from 16th January 2019 and the Last date for form filling is 21st April 2019. Registration will be done through online mode on the official website. The COMEDK application form 2019 has been Released on 16th January 2019 (12:00 pm). After filling all details candidates have to upload their photograph, signature, the signature of Father/Guardian & unique ID proof. Keep the print copy of the filled application for future use. COMEDK UGET 2019 Application Correction has been Started on 22nd April 2019. There will be no need to send an application by post or, any other methods. All candidates have to pay application form fees before the due dates as mentioned in exam dates of COMEDK. Candidates can pay it through online mode by Credit card/Debit Cards/Internet Banking. Check below point mentioned below. The application fee will be Rs. 1300 + *GST of 18% on Rs 1300 + Convenience charge/fee as applicable. The fee can be paid by Credit card/Debit Cards/Internet Banking. Look at given full COMEDK 2019 Eligibility Criteria for the entrance exam. To apply for an exam candidate should be the citizen of India. To apply check criteria given below in table with courses wise. Different courses have different criteria so check all details carefully. For UG Engineering Qualifying Exam: Pass 2nd PUC or 10+2 higher secondary or equivalent examination. Subjects: Pass the above exam with PCM & English as a compulsory subject. Minimum Marks: Pass the above qualifying exam with minimum 45% marks (40% marks for SC/ST/OBC category of Karnataka state) aggregate. For UG Architecture Qualifying Exam: Pass 2nd PUC or 10+2 higher secondary or equivalent examination with Mathematics as one of the subjects. Minimum Marks: Pass the above exam with at least 50% marks in aggregate (45% for SC/ST/OBC category of Karnataka). NATA Score: NATA (National Aptitude Test in Architecture) conducted by the Council of Architecture or JEE Paper – 2. COMEDK UGET 2019 Exam will be Conducted on 12th May 2019. The exam will be held in online mode means computer-based mode. The question paper will be in English language and which should be completed by candidates within 3 hours. In the exam, candidates have to prepare for Physics, Chemistry, and Mathematics subjects. COMEDK 2019 question paper will be of total of 180 marks. Exam Mode: The examination will be held in online mode (computer-based test). Duration: The exam duration will be 3 hours (10:00 AM to 1:00 PM). Medium: The question paper will be asked only in the English language. Number of Questions: Total 180 multiple choice questions will be asked in the examination. Total Marks: The question paper will be of 180 marks. Marking Scheme: One mark will be given to the candidates for a correct response. Firstly, all candidates have to understand the pattern as well as the syllabus of the examination. Practice more and more on questions which are confusing and even practice question through Mock Tests. Prepare a timetable in such a manner, so that each subject will get equal time for preparation. Clean all basic concept first, then study hard questions. Candidates can solve previous year question papers & sample papers. Build your own strategy and work on your weaker section. Take proper sleep during exam preparation. Analyze your mistakes and prepare well for the entrance examination. COMEDK UGET 2019 syllabus will be issued by authority on the official portal, the syllabus will be prescribed by conducting authority COMEDK, Karnataka. Candidates can take the idea of the topics to be covered in the question paper of the examination. The Question asked in the paper will be consists of the questions on the basis of the subject’s like- Physics, Chemistry & Mathematics subjects. COMEDK 2019 syllabus will be based on 10+2/12th STD/2nd PUC. Be prepared for COMEDK 2019 exam. A detailed syllabus will be provided soon whenever it announced. Candidates have to download COMEDK UGET 2019 admit cards from the official website through online mode. Authority will announce in the 3rd May 2019. All candidates have to download the admit cards to attain entrance exam. Authority will issue the admit cards of COMEDK 2019 on 3rd May 2019. The candidates appearing in COMEDK need to download the COMEDK admit card by logging into their registered accounts. Candidates have to enter their ID and Password. Keep it save it till the admission procedure not over. COMEDK UGET 2019 Answer Key will be issued in the third week of May 2019. Answer key will be issued in online mode. Candidates can challenge objectives of answer key till May 2019. In the fourth week of May 2019, The final answer keys will be released. COMEDK 2019 answer key is issued by authority on official portal. Authority of COMEDK will announce the COMEDK UGET 2019 results in the last week of May 2019. The results for COMEDK will be announced in online mode only on official portal. Candidates will be selected on the basis of marks and rank secured in the COMEDK entrance exam. The result will not be sent by email/post/courier/in person to any candidates under any circumstances. Candidates will check their COMEDK UGET result 2019 through applicant login. Candidate will be needed to keep print copies for the admission process. Centralized COMEDK UGET 2019 counseling will organize the admission to the engineering & architecture courses. Counseling will be started in the month of June 2019. Counseling will be held in offline mode. Candidates have to submit a separate application for counseling for those who are seeking admission into B.Arch course. Candidates whose name gets shortlisted will have to be present to their allotted college and get their documents verified. All have to carry the requirements document which will be needed for verification purposes. Candidates will be allotted seat as per their rank, category, filled choices, availability of seats, etc. If you have any query about COMEDK UGET 2019, you can ask us by leaving your comments in the comment box.